Editor's note: The map you see above has been updated since we first wrote this story. The data shown is from spring 2018. Go here to read about that data. Did your hospital get an A or an F? D.C. hospitals rank dead last nationwide when it comes to avoiding medical errors, injuries and infections, a report released Tuesday finds. Virginia hospitals, however, are among the best. Sixty percent of hospitals in the state got A grades from the national health care nonprofit Leapfrog, which studied data from the American Hospital Association and other sources. Thirteen Virginia hospitals near D.C. received A grades. No Maryland hospitals in the D.C. area got F grades, and one got an A.
Maryland was not ranked in comparison to other states because the state requires unique medical reporting standards, Leapfrog said. Leapfrog gave letter grades to some 2,630 hospitals across 50 states plus D.C. based on a range of patient safety measures. Leapfrog says you can use the ratings to find hospitals that prioritize patient safety, meaning hospitals got better grades if they had track records for preventing hospital-acquired infections, hand washing, stopping bed sores, training doctors, communicating about prescriptions and more. The mayor’s office announced George Washington University Hospital will take over management of the emergency room and in-patient at United Medical Center. News4's Mark Segraves reports. "Many hospitals have world-renowned doctors and equipment, but not all hospitals prioritize their patient's safety above all else. You deserve to know which hospitals do the best at protecting their patients from harm," Leapfrog said on their website. A hospital spokesperson said they were dissapointed to learn of the rating and believe it doesn't reflect performance. The hospital submits data voluntarily, and has improved practices since the time the study examined, a spokesperson said. "The October Leapfrog safety grades do not reflect the continuous improvement we are seeing in all of our hospitals. As always, we encourage patients to discuss their needs and questions with their provider when making healthcare decisions," MedStar Health hospitals spokesperson So Young Pak said in a statement that applies to all MedStar hospitals. MedStar does not voluntarily report data to Leapfrog. Pak said. "As part of our commitment, we review and analyze hospital ratings with interest, such as those recently released by Leapfrog. We appreciate hospital ratings as a tool to help inform patients’ decisions about their health care and believe they play an important role in holding hospitals accountable to patients and the communities we serve," Gary Stephenson, Sibley Memorial Hospital spokesperson, said in a written statement. The Leapfrog survey data was collected before the Vertias health system took over the hospital, a spokesperson said. "UMC scored better than average in a majority of categories identified," a hospital spokesperson said. The hospital was graded based on publicly available data. "To have been recognized by Leapfrog for five consecutive years is an honor and a credit to the amazing staff we have here at Inova Loudoun Hospital," Deborah Addo, CEO, Inova Loudoun Hospital said in a statement. "Reston Hospital Center fully supports the transparency in the reporting of quality and safety measures. Patient safety is always a top priority for our team and we are consistently focusing on the quality of care we provide to each and every patient," a hospital spokesperson said. "We are pleased to be recognized for the safe, quality care we provide our patients," a spokesperson said. “We are proud to be one of only 82 hospitals in the country to receive an 'A' 11 times in a row, demonstrating our continued, consistent commitment to patient safety. The Leapfrog Group continues to be a leader in helping patients understand the complex world of healthcare by providing an objective, transparent, and easy to understand evaluation system on hospitals,” said Jeffrey DiLisi, the chief medical officer of the Virginia Hospital Center. “We are honored and gratified to receive such high recognition for our continuous commitment to improving patient safety," the hospital's senior vice president Floyd Heater said in a statement. “We are honored to once again receive this esteemed recognition, which demonstrates our ongoing organization-wide commitment to fostering a culture of safety and delivering high quality care — for every patient, every time," a hospital spokesperson said in a statement. "We don’t believe our grade is a reflection of the care we give at Shady Grove. The information in the report was not complete quality of information," Tina Sheesley, Director of Public Relations and Marketing for Adventist Shady Grove, said. "This rating is an affirmation of the work we are doing to deliver quality outcomes, patient safety and the best overall experience," Steven C. Snelgrove, president of Howard County General Hospital said. This is the first year Suburban Hospital was ranked by Leapfrog, a hospital spokesperson said. "As with all hospital performance 'report cards,' Leapfrog grades must be viewed and interpreted with appropriate context. Some of the data used to calculate grades is outdated, and does not accurately reflect the most recent performance or the many initiatives underway to enhance safety and quality," a University of Maryland Medical System spokesperson said about all of the system's hospital rankings. News4 reached out to every hospital on the list. Go here to see the full list of hospital grades and rankings. The hospital grades were released as officials announced that a doctors group associated with George Washington University will take over emergency medical services at United Medical Center (UMC). 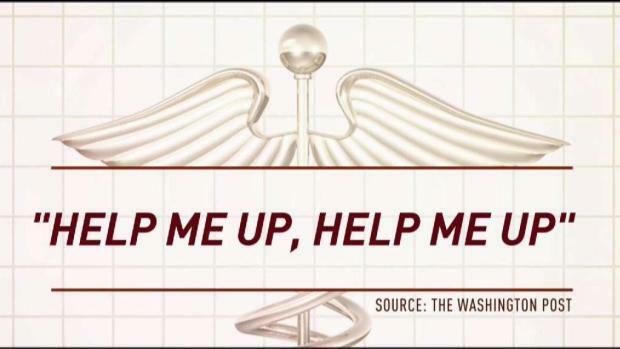 A patient died at UMC this summer, and witnesses told The Washington Post he had been mistreated. Also this summer, UMC was ordered to stop delivering babies because of "deficiencies" in its care. Leapfrog gave 159 hospitals in the U.S. D grades and 15 hospitals received failing marks. Two of those hospitals were in D.C., and others are located in California, Florida, Illinois, Maryland, Mississippi, New York and Tennessee. More than 800 hospitals earned an A grade, with the highest percentages found in Virginia, Rhode Island, Maine, Hawaii and Idaho. The five states with the lowest percentage of A-grade hospitals are Washington, D.C., North Dakota, Delaware, Maryland and New York. The biannual 2017 Leapfrog Hospital Safety Grades report shows the safety grades of hospitals in five states — Oregon, Rhode Island, Hawaii, Wisconsin and Idaho — have improved significantly since Leapfrog first issued grades in 2012. Rhode Island had the most dramatic improvement, jumping from 50th in 2012 to number one in the fall of 2017. "What we've learned is that transparency has a real impact on patient safety. By making the Hospital Safety Grades public, we've galvanized major changes in these states and many communities," said President and CEO of Leapfrog, Leah Binder, in a statement. Leapfrog uses data from the Centers for Medicare & Medicaid Services, the Leapfrog Hospital Survey, the Agency for Healthcare Research and Quality, the Centers for Disease Control and Prevention and the American Hospital Association’s Annual Survey and Health Information Technology Supplement to rank their hospitals, according to their website. Based on that data, Leapfrog measures 27 aspects of patient health and safety. Then, Leapfrog says researchers weigh the evidence, opportunity for improvement and impact of each measure to calculate a grade. If data in several categories is missing, Leapfrog won’t rank that hospital. Leapfrog tells people to look at three measures in particular when choosing a health care provider: hand washing, blood infection during an intensive care unit stay and patient falls.